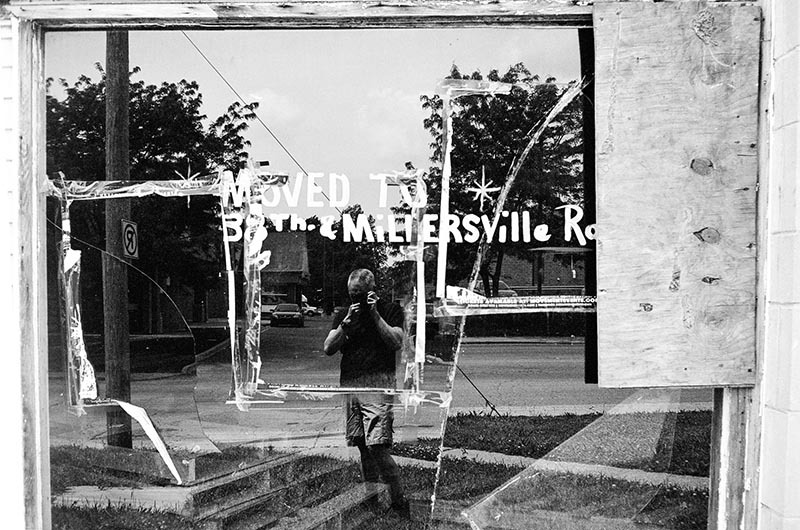 Selfie in an abandoned shop window. Taken with a point & shoot Ricoh FF-1s. A fun little camera 35mm point & shoot. Ilford XP2 400 film.